We have gathered a list of all the patent and trademark related conferences throughout 2017 so you can effectively plan your year and ensure you don’t miss out on networking and learning opportunities. 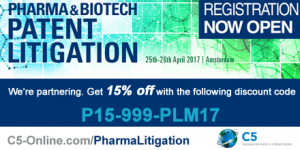 This conference will provide an invaluable focus for analysis of all the fundamental changes affecting Pharma and Biotech Patents across Europe and the US and consider the impact of judicial decisions in the national courts on your litigation strategies. 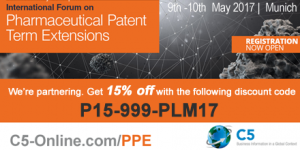 This Forum remains the best and most comprehensive conference in the European market solely dedicated to all developments in the world of SPC’s and pharmaceutical patent term extensions. In the frame of its 5th edition, Premier Cercle gathers the most important stakeholders who work for the implementation of the future Unitary Patent System and the establishment of the Unified Patent Court. The system’s launch in December 2017 will be discussed by the European judges, the Committees and the Industry. This event is organised in collaboration with the European Patent Office on July 5, 2017 in Munich (Germany). The 2017 AIPPI World Congress will be held in Sydney, Australia and promises to be an unforgettable event that will bring together attendees from all over the world. There is no better place to learn and discuss hot IP topics in a pleasant and welcoming environment, than the commercial capital of Australia. The annual AIPPI World Congresses offer excellent networking opportunities and educational programmes, which feature sessions on international IP issues, special panels of experts, mock trials and much more. Please join us in Sydney in 2017 for what will undoubtedly be a spectacular Congress. For more information visit aippi.org/event/2017-aippi-world-congress-sydney/. Readers of Copyright Lawyer Magazine will benefit from a 25% discount by entering the discount voucher code “copyrightlawyer2017”. Don’t miss the International Copyright Law Conference. Attend the event and benefit from leading expert advisors and industry perspectives. Join the conversation and hear an esteemed speaking faculty debate the current issues surrounding copyright law in one intensive programme! Register now HERE and quote VIP code FKW82753CTCL to get a 10% discount thanks to CTC Legal Media! 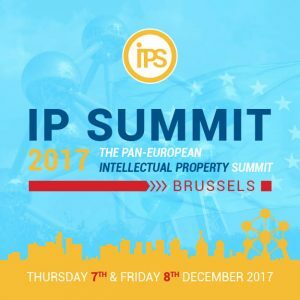 This high-level conference gathers + 450 practitioners to discuss the timeliest IP issues and EU reforms related to patent, copyright, trademark, design and new technologies. This 2-day conference is the forum to discuss with worldwide experts on IP trends, attend innovative panels and discover the impact of new technologies on IP. The key figures: + 100 speakers, + 400 delegates + 30 IP hot topics discussed.